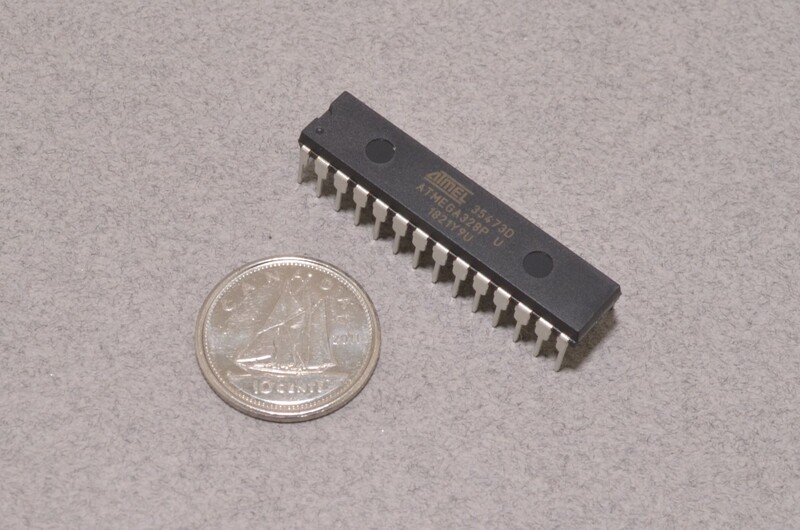 The ATMEGA328P-PU is a microcontroller chip, and a very familiar one at that! 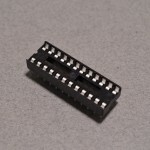 This chip is the most important part of an Arduino Uno – in fact, it pretty much is the entire Uno. This chip is where the code is stored and run. It is also what all of your I/O pins are connected to and controlled by. 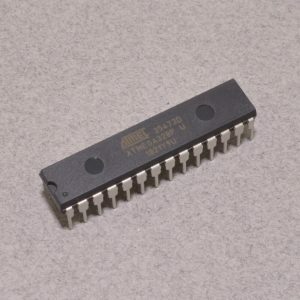 This microcontroller chip can be used on a breadboard to create your own Arduino-compatible project or could even be used to repair a damaged Arduino Uno! Just add a voltage regulator, an external clock, a couple capacitors, and this “breadboard Uno” can be programmed using an FTDI Friend! 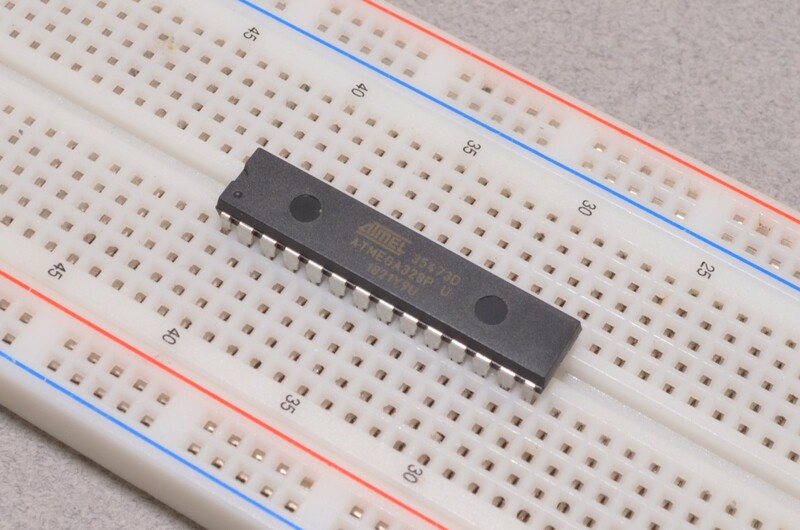 The chip does not have a bootloader burned onto it just yet – this can be done using the Arduino IDE. 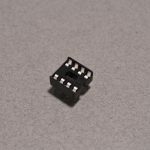 SKU: IC-001. 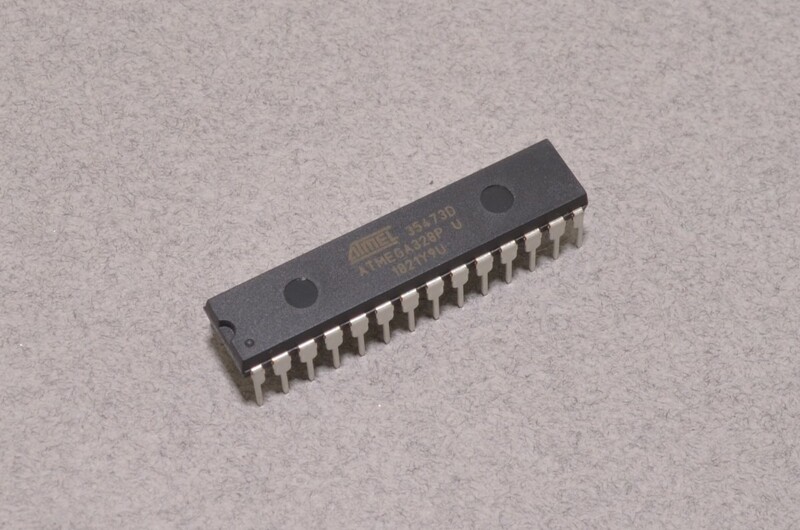 Category: Integrated Circuits. Tags: Light Packet, Microcontroller.